Using data from FERC and rooftop solar power estimates of my own*, it seems that 69% of newly installed US electricity generation capacity was from renewable energy power plants, with 67% from solar and wind power. 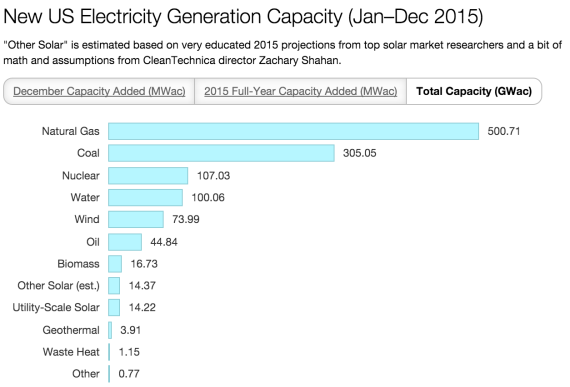 In the month of December, 100% of new power capacity came from wind and solar projects. Meanwhile, total installed coal power capacity declined from 326.6 GW at the end of 2014 to 305.05 GW at the end of 2015. In other words, net, 21.55 GW of coal power capacity were taken offline in 2015. Unfortunately, natural gas (which may be much cleaner than coal, but that is up for debate) power capacity grew from 492.97 GW to 500.71 GW. 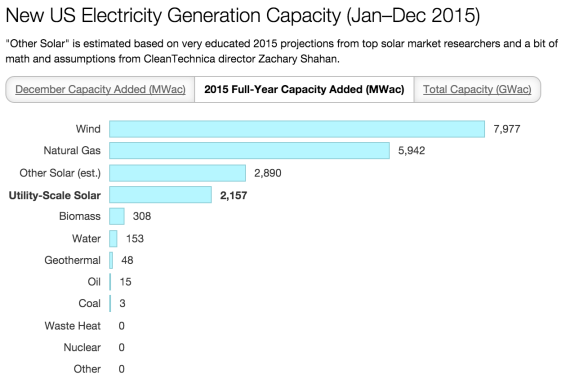 In other words, it saw nearly 8 GW of additional capacity (net). To compare to renewables on the whole, that segment grew by 23.5 GW, from 200.94 to 224.43 GW. 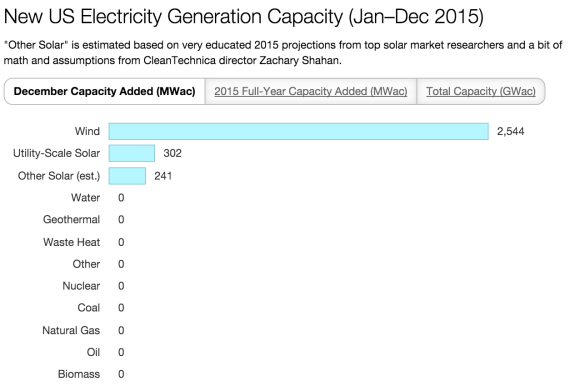 Solar and wind alone grew by about 21 GW, from 81.45 GW to 102.58 GW, based on my estimates. That’s approximately the change in coal capacity. Those three sources accounted for over 97% of new power capacity. At the end of the day (at the end of the year), renewables still only accounted for 19% of total US electricity generation capacity, and solar + wind 8.7%. So, we have a long way to go. Nonetheless, 69% of new capacity from renewables in the year isn’t really a letdown, even if it does seem like 100% of new capacity should have come from renewables…. 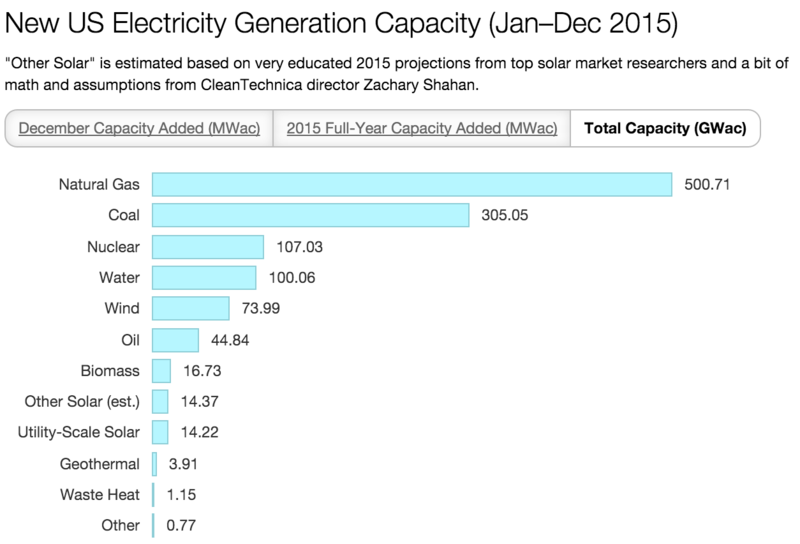 *Based on SEIA/GTM research projections for 2015 and historical data from NREL.